There are some buildings that I often see around Birmingham that I think to myself “I wonder what it looks like in there”. Thanks to Hidden Spaces I got the opportunity to have a explore both The Museum Collections Centre and Curzon Street Station on Saturday 12th September. See here for my post on The Museum Collections Centre. Opened in 1838 Curzon Street Station is the oldest railway terminus in the world. It was the terminus of the first railway line to link London to Birmingham, which was engineered by Robert Stephenson. The surrounding and adjoining buildings and platforms have all been demolished, leaving only the impressive entrance building which is Grade I listed. 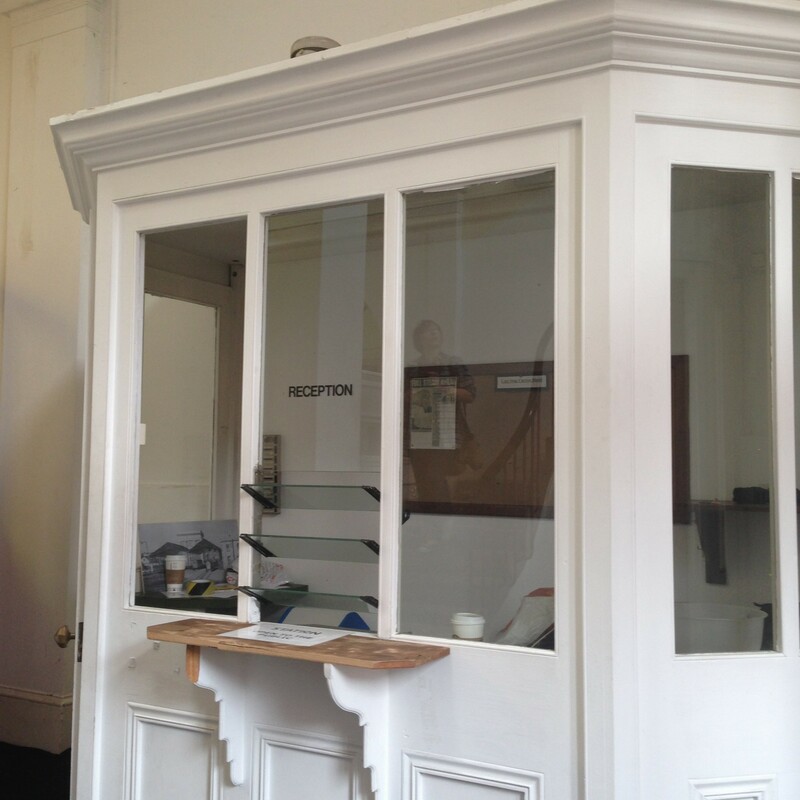 The rooms were absent of furniture and shed very little light to the building’s original use, however a few original features such as the fireplaces and reception desk have survived. 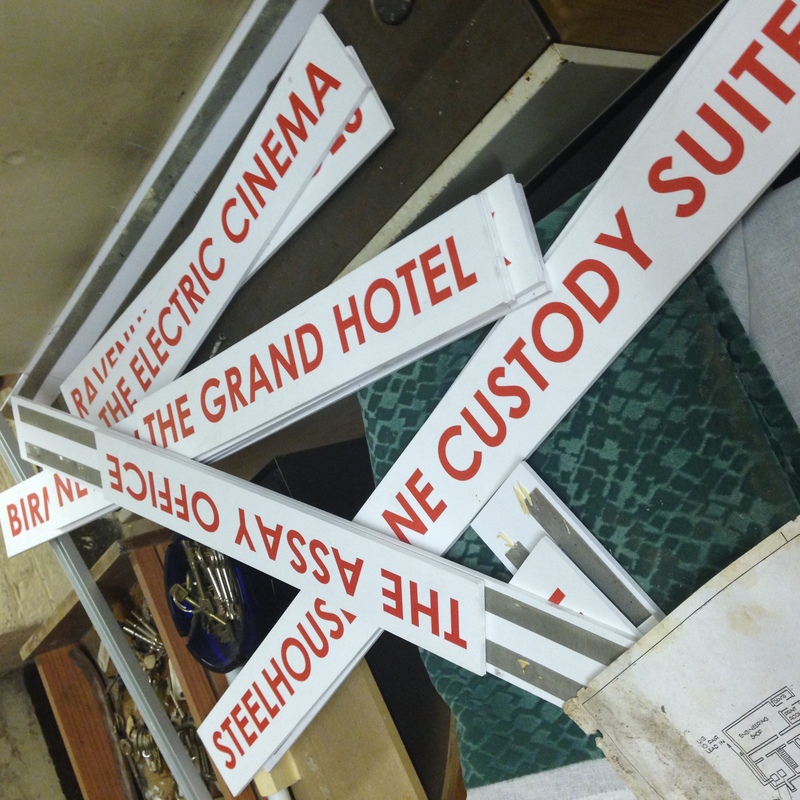 There was a smattering of signs in one of the room which gave you the biggest clue to this building’s former glory. Curzon Street Station closed in 1966, but throughout the ensuing years has found temporary uses and owners. Since 2006 it has occasionally been used as a space for art exhibitions. It’s a pity that it hasn’t undergone a restoration project inside. I only hope that the building isn’t demolished in the future to make way for HS2.